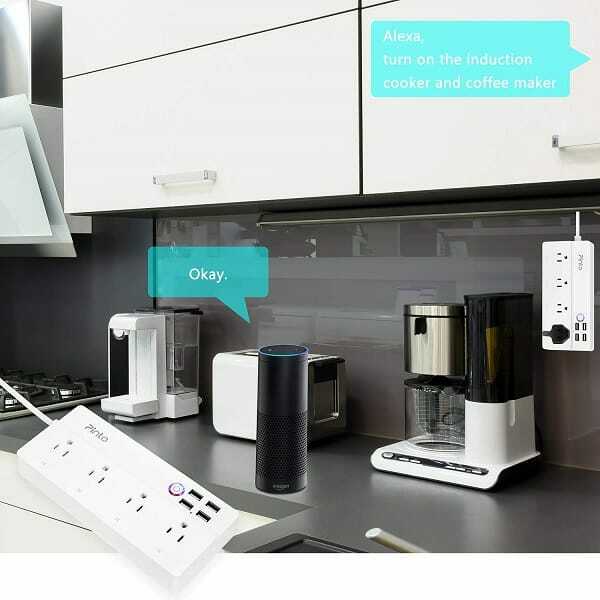 With the Smart Wifi Surge Protector Power Strip you can instantly turn on/off house appliances at your finger tips without moving a step. Compatible with Alexa and Google Home Assistant, remotely control your lights and devices from your phone wherever you have internet. Surge Protection: automatically breaks off when the current exceeds threshold.